Click on a picture for more details and then page down. 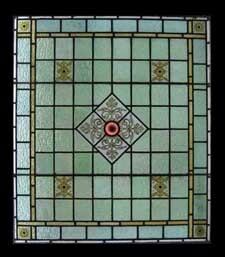 Stained glass is glass that has been coloured by adding metallic salts during its manufacture. 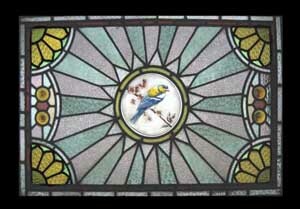 In years gone by glass was coloured by adding substances such as arsenic,uranium and gold. 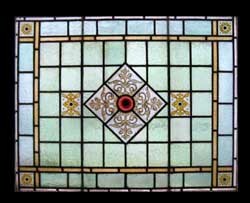 The coloured glass is crafted into stained glass windows in which small pieces of glass are arranged to form patterns or pictures, held together by strips of lead called cames and supported by a wood or iron frame. 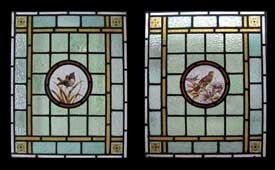 Painted details and yellow stain are often used to enhance the design. 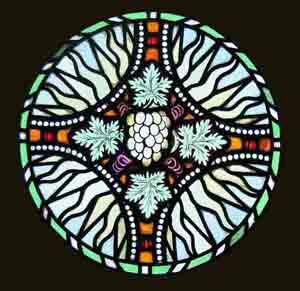 The term stained glass is also applied to windows in which the colours have been painted onto the glass and then fused to the glass by firing in a kiln.